I’ve blogged a bit about social media scoring and it’s importance to digital marketers on a personal level. There is no secret about how I feel about scoring of ones social media presence. Although the various platforms that rate a persons social media are entitled to do as they please in this space, I just can’t get too wrapped up into scores and allow those scores to reflect who I interact with and how much. Scoring platforms may not be an accurate method of measuring a digital footprint because there are so many variables that could throw the score off. Suppose the person was working on a project that had them focus on a social media platform that is not in the scoring algorithm, suppose the person was working on a web project, suppose the person was creating a video? All of these variables would create an avenue in which the person or potential employee was not actively engaged in a social media platform, and this could be reflected in their social media score. This is just one of the reasons that social media scoring can be deceptive or tricky when utilized for hiring purposes. However take a look at the infographic below and see how social scoring may be used to determine WHO gets hired. Everyone that knows me really REALLY knows that my attention span when listening to webinars, during meetings and attending class is negative 100, if not lower. I must really have a strong interest if I sign up and a stronger interest if I actually DO NOT multitask through the entire experience. So when I was asked to meet with Joshua at PeopleBrowsr for a demo of Kred, I was initially like WTH and why would I need a demo. Then I took a look at the platform, realized that there was way more to it than I originally thought and scheduled the demo. The first thing that I learned about Kred was that they are a part of PeopleBrowsr which is a very powerful Social Analytics Platform. I soon realized how much they rocked as the presentation went on. Another very important thing that I learned was that they are REALLY TRANSPARENT, not the blowing smoke up your ( cough cough) as some other platforms claim. 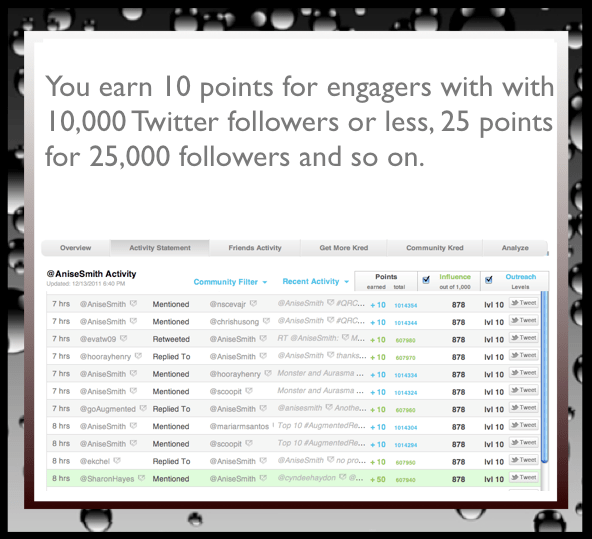 Kred demonstrates your social influence and displays exactly how the scores were compiled, how the numbers were calculated and all in real time. 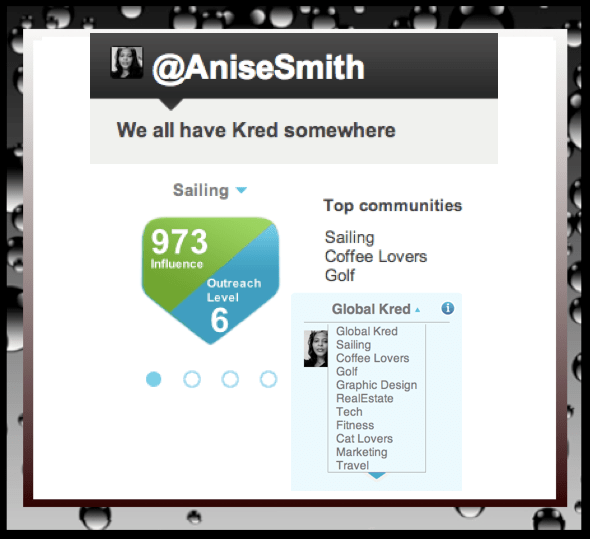 Kred has areas of focus, Communities in which a person can have influence, this is based on Twitter profiles. 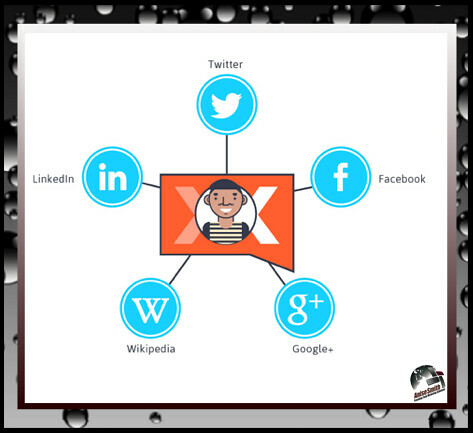 This area of influence is NOT necessarily based on YOUR Twitter profile but the profile, and keywords of your followers profile. For instance one of my influence areas is Sailing ( everyone that knows me is laughing Def Comedy Jam hard now because I have an extreme water phobia ) but this category is NOT what my interests are but the interests of a LOT of the people that I am engaged with. So on a side money making note, this is HUGE for business because if there were companies interested in marketing to a Sailing demographic I would be the person that could be used to get to this audience. 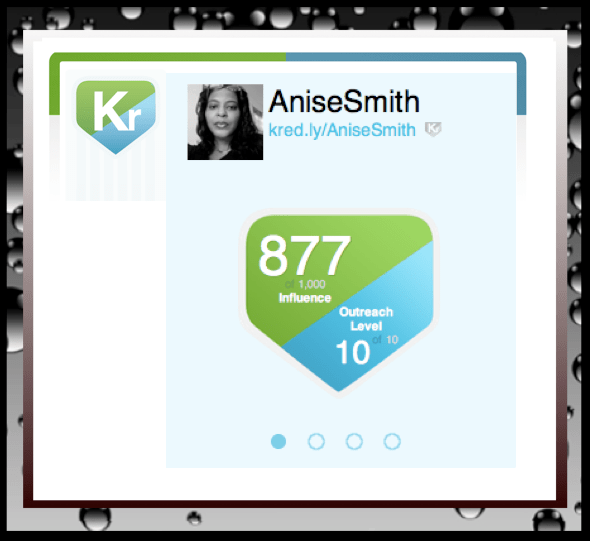 Kred Scores are based on an Influence Score and an Outreach Score and focused in different Communities or areas of influence as stated above. So as I describe above I have an area of influence in Sailing so I would have an Influence and Outreach Score for this category. Kred Influence is the measure of what others do because of you. Influence increases when others take action because of your content. 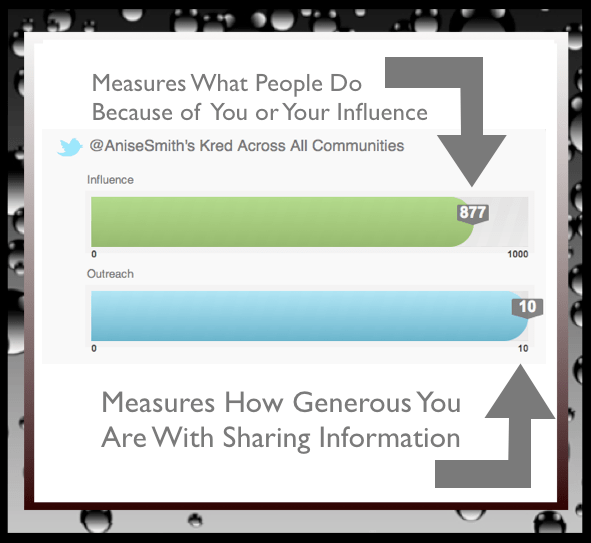 Your Influence score increases when someone retweets, @replies or follows you. Kred Outreach is the measure of your generosity. Outreach increases when you retweet, @reply, or follow a new person. As you accumulate Outreach Points, you move to a higher Outreach Level. Because Outreach Points are a reward for being active and benevolent, your Outreach Level never goes down. Outreach Points are earned anytime you do something generous for someone else. Outreach can never go down because we believe that the capacity for generosity is infinite. 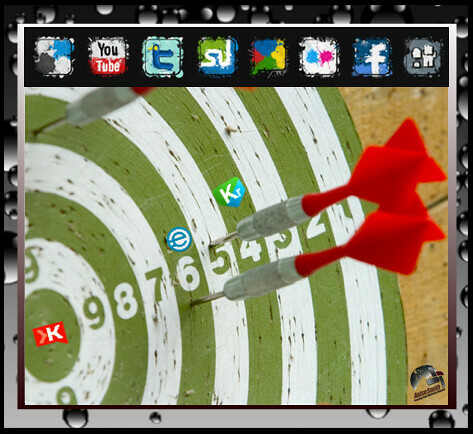 The above is just a small portion of what PeopleBrowser and Kred has to offer. I suggest you try to get an invite to Kred because, THIS is HUGE for individuals and businesses. Most importantly this is why Kred is going to rock the world of Influence in regard to Social Media, Social Analytics and More.